Tired of getting the run around on Predictive Dialer pricing? Well eTollFree we have nothing to hide. Our hosted Predictive Dialer starts at only $99 monthly. This let’s you increase your Call Center efficiency and make more sales for a reasonable price. Give us a call today! Take a look at all of the customizable features avalible with our predictive dialer system. Contact a friendly Sales Associate for more information about this telemarketing software or to get started. We get a lot of calls on our call center dialer price and we’re happy to let you know you can get access to our predictive dialer for only $99 a month! We have one of the cheapest predictive dialer costs in the industry. Our auto dialer pricing is the same as the predictive dialer pricing. You can always try our free demo to see the simplicity yourself. Our Voip Dialer Pricing for phone numbers and minutely rates are listed below. You can run this all through a smart phone if you wanted to, which really speaks to the ease of use and simplicity we’ve created in our custom CRM. Give us a call and figure out how we can make eTollFree work for you! Also check out our predictive dialer pricing for more information on all our services. See our complete list of features..
You have your cheap toll free numbers purchased, so how do you organize them? Want to see how the virtual call center software works before you buy? Of course you do! You can use our demo system to see all of the included features and functionality with this amazing telemarking software. What is a Predictive Dialer? Still not sure if a predictive dialer is what you need? We have created a video to explain a little more about what it is used for. What are the Top 10 features of a Predictive Dialer? Want to know what a predictive dialer has to offer? We have created a video to explain some of the features. How does a Predictive Dialer work? Want to know how predictive dialers do what they do? 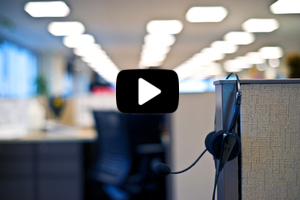 We have created a video to explain the workings of predictive dialers.